This e-book examines the growing virtualization market and analyzes key virtualization platforms and their features. 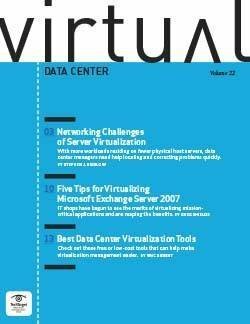 Discover the benefits and challenges of adopting virtualization in your data center today. Get advice from our experts on server virtualization basics, and get the inside scoop on the server virtualization market today, and how it can impact your organization.